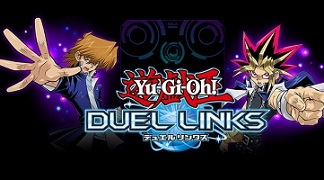 Konami have announced that a new Yugioh game for mobile platforms (iOS and Android) called Duel Links is entering a closed beta phase and they are accepting applications for testers. Screenshots so far have all been in portrait view indicating that the game seems to be designed to play on phones. The game also runs on a modified and simplified rule set and seems to be aimed at casual players and fans of the anime series, as opposed to being a serious simulation of the actual paper game (other forthcoming titles may fill this role?). The game supports single player vs ai as well as multiplayer pvp modes. (Note that at the time of this posting the page is unreachable, presumably due to high traffic volume. I can confirm that I was able to reach the page earlier today and sign up for the beta, so if you are having trouble reaching it, keep trying).